The second weekend of May will see Taylor Wimpey employees complete their annual Charity Challenge divided in four levels to raise money for two great causes. This year’s challenge will transport employees to Wales, home of the massive Snowdonia National Park complete with stunning yet challenging mountains to climb. Two teams from the Spanish arm of the company, Taylor Wimpey Espana, will tackle the fierce challenge of hiking the mountains, taking in the infamous Glyders and Snowdon itself. As well as preparing to tackle this rocky challenge (10th to 13th May), the Taylor Wimpey España teams have started holding fundraising events to help raise money for The Youth Adventure Trust and Llar de memoria, with a marketing campaign with suppliers, agents, the sale of T-shirts and a solidarity beer event held in the office on Mallorca. The Youth Adventure Trust helps vulnerable and disadvantaged young people to gain the skills, confidence and courage needed in order to face the challenges in their daily lives whereas Llar de memoria is an association that ruins a sanitary centre to treat dementia. The team has already raised 91% of the £4,000 target before the challenge. Despite the popularity of the Snowdonia peaks, this challenge should not be underestimated especially as they are divided in four levels: Snowdon Dragon, Snowdon Monster, Snowdon Sprite and Snowdon Beast. Each includes a conquest of the National Park through Glyder Fach, Glyder Fawr and Snowdon – a total ascent of 1,500 metres on average – and those brave enough will not just descend on foot but also on two wheels. With its large boulders, gushing waterfalls, vertical rock faces, heavy mist and endless crude stone staircases, the Snowdon mountains really are a hell of a place for a hike and bike ride! For 60 years, Taylor Wimpey España has been delivering award-winning homes that complement the natural beauty of the Balearics, the Costa Blanca and the Costa del Sol. If you would like to view more about the event or make a donation to the team please do visit this link. Today’s outlook for housing in Spain is bright with the country’s real estate market causing international buyers to sit up and take notice. Latest data from Tinsa presents strong evidence of the Spanish housing recovery with the average price of finished housing in Spain increasing by 3.8% in first quarter of the year, compared to the same period in 2017. The same report states that the greatest demand comes for housing on the Spanish coasts where Taylor Wimpey España has been operating for 60 years (1958 – 2018). Indeed, whilst the recovery is at its strongest in different regions, including the capital Madrid, but data from Sociedad de Tasacion (ST) suggests that price increases are becoming more widespread across the nation. Consequently, buyers in search of the perfect holiday home, are increasingly moving to secondary cities and locations to find affordable properties. 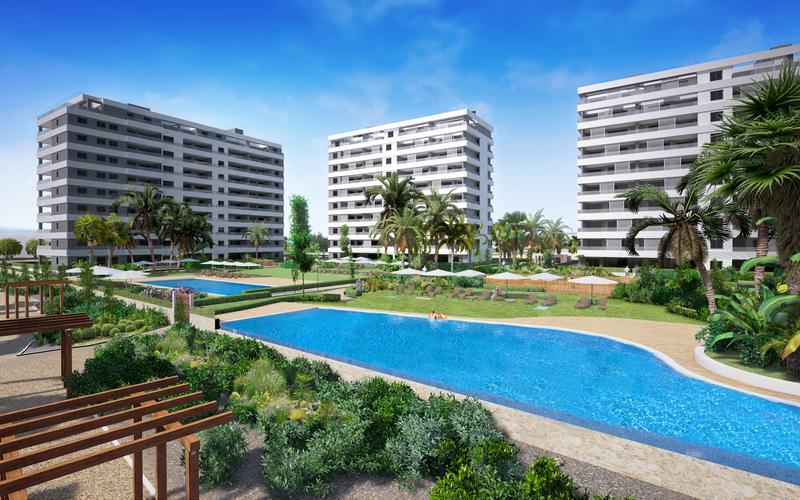 With this in mind, the Spanish coasts, especially the Costa Blanca and the Costa del Sol, are in the spotlight with Taylor Wimpey España launching not one but four new projects this spring in answer to rising demand for holiday homes. In line with the company’s plan to invest 30 million euros in the most popular destinations, Spain’s leading housebuilder continues to strengthen its position in the residential market with these four new developments: Kiruna Residential in Elche, Costa Blanca, Royal Blue in Mallorca, Royal Banus in a privileged enclave next to Puerto Banus in Marbella and Le Caprice within the famous La Quinta Golf Resort area in Benahavis, Costa del Sol. Le Caprice is a prime example. The exclusive residence located on the Costa del Sol comprises 14 penthouses, apartments and duplexes with 3 bedrooms that have everything residents need to enjoy the Mediterranean life. The south-west facing project enjoys spectacular views over La Quinta golf course, making the development a unique destination for golf lovers. Prices start from €550,000 + VAT. The second new development on the Costa del Sol is the exclusive Royal Banus. It may be located next to the casino in Marbella but these 6 luxury penthouses with solarium and 18 modern contemporary apartments with 2 and 3 bedrooms and two bathrooms are no gamble! Prices start from €490,000 + VAT and the complex is set to be completed for Q4 2019. Further north on the Costa Blanca, Kiruna Residencial is located in the town of Elche (Alicante) in an environment surrounded by nature and golf courses. The complex of 3-bedroom townhouses combines the Alenda Golf course with a livelier beachfront nightlife easily accessible in just 15 minutes. The homes also include a garden, private parking and access to a communal swimming pool, club house and supermarket. Prices start from €165,000 + VAT. The houses are scheduled to be delivered for June 2019. Finally, Royal Blue is a modern Mediterranean style residential complex comprised of 17 homes and located next to the beaches Cala Molto and Cala Agulla at Cala Mesquida where residents can enjoy the fabulous sea views. The development has a communal pool and gardens for owners. Each home has a private garden and penthouses provide solarium terraces. Prices start from €315,000 + VAT. Increasingly the temptation to spend the Easter break overseas is winning over the hearts of those looking for the certainty of sunshine for their precious time off. The latest survey by easyJet revealed that Spanish cities were the top choices for travellers heading overseas over Easter. Many Brits will be looking seriously at Spain this Easter with a view to purchasing a second home, relocation or retirement property. Buying the dream home overseas can be a confusing process however so Marc Pritchard, Sales and Marketing Director of Taylor Wimpey España, Spain’s market-leading homebuilder, has put together his 5 top tips to find the perfect holiday home whilst on your Easter break. Find a company you trust – firstly, make sure to contact a company that has a proven track record that you can trust. Do some research online to find the right developer; be sure you know who you are dealing with and trust them to handle your transaction smoothly. Leading Spanish home builder Taylor Wimpey España, which celebrates its 60th year of operations (1958 – 2018), is leading the way in new-build homes in Spain. Identify the areas and region you like – As the property will be a fair few miles away from the UK, it is important to ensure that there are good transport links to the main airports. Being close to airports and indeed amenities such as restaurants, beaches or golf courses will help you to enjoy the Mediterranean life more easily. Potential buyers ready to purchase with Taylor Wimpey España are likely to be looking in one of three main areas: the Costa Blanca, the Costa del Sol or the Balearic Islands, primarily due to their good connectivity. Choose the type of property you want to buy – The type of property will depend on your tastes and specific needs – there is a wide choice. Happily, Taylor Wimpey España has something for everyone. Try Royal Blue on the stunning island of Mallorca for penthouse living with uninterrupted sea views. Want a golf course within walking distance of your home? Then head to Marbella on the Costa del Sol and go for the luxury homes of Le Caprice with training programmes for golf lovers. Book an appointment for a viewing – As with any home purchase, there can be pitfalls when buying a house overseas so, it is very important not to rush in but take advantage of holiday breaks to visit first before buying. To view properties during Easter, Taylor Wimpey España’s team are on hand to meet at a time which suits you the most. Make it legal – There are certain legal steps that need to be considered such as obtaining a Spanish fiscal (INE) number, signing contracts, paying fees and taxes and making staged payments. Get a lawyer to translate documents if they are in Spanish. An overseas buyer should take the time to learn about the purchase process of a holiday home and a reputable seller, such as Taylor Wimpey España, should be happy to help buyers though that process. The NHS pay rise that unions have just agreed has catapulted the issue of affordable housing for emergency workers into the spotlight once more. The rise of at least 6.5% over three years is no doubt welcome news, but is still unlikely to keep up with inflation, meaning that nurses, porters and paramedics will continue to face issues when it comes to affording property. Affordable housing is an issue for ex-Forces personnel, just as it is for emergency workers. In 2012, all 407 local authorities signed up to the Armed Forces Covenant and Community Covenant, which were designed to ensure that those coming out of the Armed Forces should take priority when it came to affordable housing. However, the Department of Communities and Local Government does not monitor the number of veterans who receive housing in the UK, making it hard to assess the policy’s impact. Research on the accommodation and housing related support needs of single veterans in Britain undertaken by the Centre for Housing Policy at the University of York in 2013 found that ex-Forces personnel faced particular issues in terms of buying their own homes. For more information, please visit https://stepforwardhomes.co.uk or call 01565 648284. Located In the heart of Hayes, be:here Hayes is a multi-award-winning rental development of high quality homes with private gardens and outstanding communal spaces which opened its doors to the first residents on 1st February 2017. It was delivered by BTR developer Be at former EMI record label building in West London. 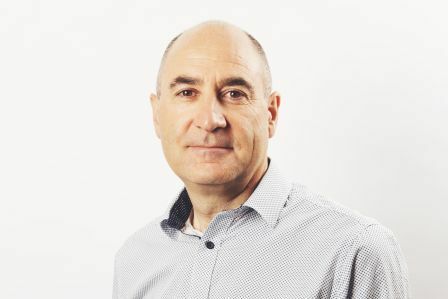 Senior Director Simon Chatfield has helped to develop solutions for the build-to-rent sector through his Be developments. Having worked in the development industry for over 30 years, he explains some of the company’s thinking. Build to Rent (BTR) is still a relatively new concept in the UK, what do you think is holding back the growth of the sector? Be has been successful in building a pipeline of opportunities (2,500+ homes) however there is investment available for significantly more opportunities. Finding suitable opportunities to meet this investor demand is holding back the sector and stopping significant growth. 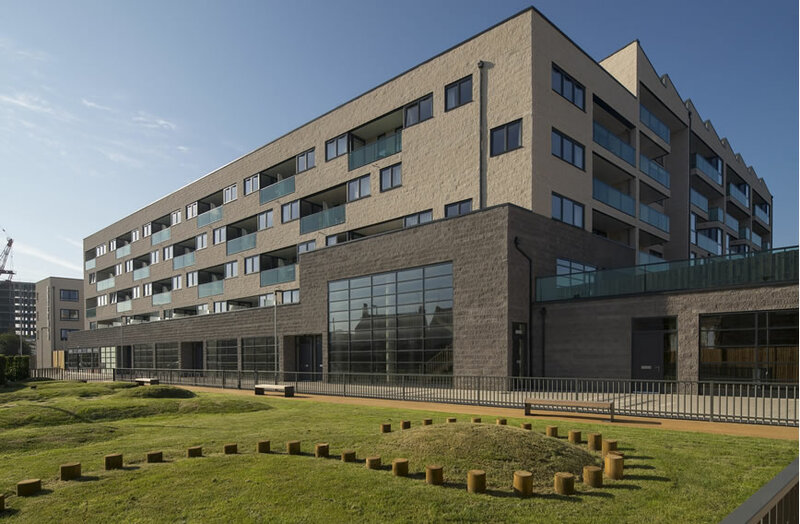 There is support from the Greater London Authority and government for the sector and an understanding of the benefits of purpose built, professionally managed homes. We need to build on this support to ensure that more opportunities and a pipeline is created to secure further investment. The lack of decent rental homes has left a gap in the market, how can BTR developers change the way Londoners view rental accommodation? By continuously asking residents what they want and doing our best to deliver it. We will keep evolving our offering, as we understand more and more about what our residents want. Once tenants realise that there is a new, different offer available we believe that Londoners will start to view their options differently. You have worked in the development industry for over 30 years, what made you decide to move into the BTR sector? I saw the BTR sector as an exciting opportunity to create something new and innovative for a section of the population that was being largely ignored by developers and other housing providers. My experience of creating communities and a focus on delivering homes people want to live in seemed a good fit for this emerging sector. What was your inspiration for Be:here Hayes and the Be BTR concept? To create a customer focussed offer for tenants based on what renters told us they wanted and an attractive opportunity for investors. We sent out 8,000 surveys to renters and ran a series of focus groups where we sat down with renters and discussed what they wanted and how we might deliver it in detail. They told us what they liked about renting, what they wanted and did not want as well as how they would like their landlord to behave. This inspired us to create something that delivered something very different to the current Buy-to-Let landlords offer. Why did you select Hayes as the location for one of Be’s BTR sites? How is Be:here Hayes changing Hayes itself? It’s too early to say but we think the wider Old Vinyl Factory development will create a great new community and a great place to live in Hayes. We are part of that growing community. The transport improvements provided by Crossrail will ensure that the transformation of Hayes will continue. What do you think renters want today? We are constantly working to understand what it is that tenants want and we regularly survey our tenants to ensure we stay in touch with changing aspirations. In what ways do you feel that Be is meeting the demands of renters today? I think one of the biggest ways we are meeting renter’s demands is by delivering really good customer service. This starts by us making the lettings process as easy as possible. Our online system provides renters with live information on the availability of units, access to photos and floor plans and enables them to reserve and complete their tenancy without the need to keep attending a letting agents office. In addition we don’t charge lettings fees. The quickest we have done a letting is 48 hours! Our focus on customer service ensures that once our tenants have moved in we are there to look after them and the building. We take in parcels, fix minor repairs as quickly as possible, make sure the common parts are clean and well looked after and build a sense of community. What does the future hold for Be? The future looks very exciting! We are getting to know our tenants better all the time so we can understand what we are doing well and improve the things we can do better. We will be applying what we learn to our new developments and with two major site in Kew (350+ homes) and Barking (600+ homes) and a raft of other schemes we have the opportunity to create exciting new places for renting across London. In a few years’ time hopefully there will be an opportunity for more and more London tenants to rent a home in a Be development. For more information please contact be:here Hayes on 0203 845 4796 or visit http://www.behere-hayes.co.uk/. Spain’s construction industry is stirring back to life as data reveals an increase in levels of construction. According to data from the Ministry of Development, authorised licences to build new properties skyrocketed by 27% in the first nine months of 2017 with the number of new build homes in Spain amounting to 60,695 compared to the same period in 2016. This increase in the construction sector is another encouraging sign for the Spanish property market. Applications for apartment blocks dominate the new build market being the direct result of the significant return of overseas buyers. Leading Spanish home builder Taylor Wimpey España, which is marking 60 years of Iberian success this year (1958 – 2018), is leading the way in new-build homes in Spain. In the face of any Brexit uncertainties, Taylor Wimpey España has continued to deliver beautifully designed homes, having completed 301 units last year (349 including Joint Ventures). For 2018, Taylor Wimpey España forecasts to deliver 400 homes to answer to the rising demand for Spanish properties, with sales to British buyers accounting for 19% of all sales for the company last month. 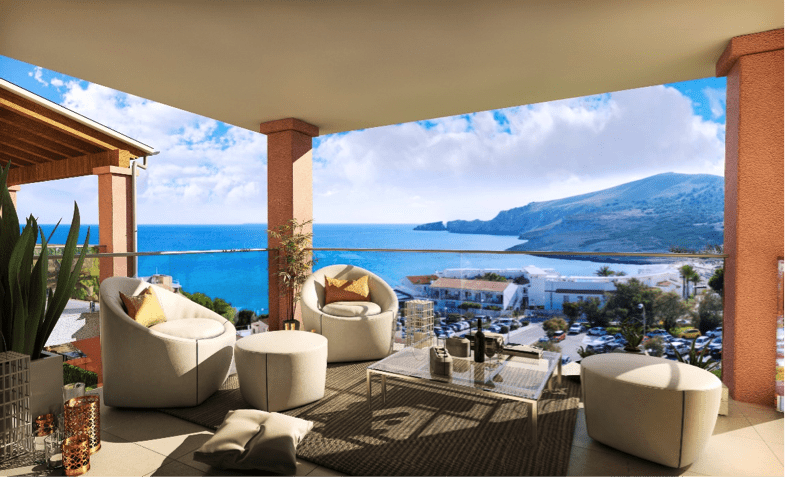 The picturesque Panorama Mar on the Costa Blanca is a prime example of the high-quality properties that are driving the residential construction boom. Just a few metres from the sparkling sea of Punta Prima, the stunning two and three-bedroom beach apartments offer lifestyle buyers everything they could wish for, with prices from just €279,000. The development is expected to complete by November 2018. Interested buyers can find out more about this superb new development by calling 08000 121 020 or visiting http://www.taylorwimpeyspain.com/. (If you reside outside of the UK you will need to call 00 34 971 706 972. The Spanish housing market is looking in good shape according to the latest Tinsa data which reveals a 4.5% increase in property values for February 2018 (compared to last same period last year) with the highest growth seen in the Balearic Islands. Indeed, the Balearics (Mallorca, Menorca, Ibiza and Formentera) recorded average house price growth of 6.8% in the last 12 months whilst prices along the Mediterranean coast continued to grow steadily at 4.4% (Tinsa). It appears that worries over Brexit have had limited impact as UK demand for second homes in Spain rose from 14.7% in Q3 to 15.6% in Q4 last year. This sentiment is echoed by leading housebuilder, Taylor Wimpey Espana, celebrating 60 years of trading this year (1958 – 2018), which has revealed that Brits are once again their biggest buyers accounting for almost a fifth of all reservations made in February 2018. In terms of where Brits are buying, the latest data from Kyero.com reveals that spacious homes on the largest Balearic island, Mallorca, are in the crosshairs of Brits. A typical holiday home bought for Brits on the island is a 3-bedroom apartment costing in the range of €250,000 and €500,000. And this precisely what Taylor Wimpey España is offering with their brand-new development, Royal Blue. Located in Capdepera on Mallorca, the exclusive Royal Blue complex offers contemporary apartments with 3 sizeable bedrooms. From the large terrace, owners can enjoy the fabulous sea views and the spectacular blend of blue and turquoise tones present in the crystalline waters. From €315,000 + VAT, these new homes are in an ideal area, next to the beach at Cala Mesquida and are within walking distance of local restaurants and amenities. Alternatively, the Taylor Wimpey España will be available the ‘A Place in the Sun Live’ exhibition this weekend (16th – 18th March) in Manchester. As air pollution in the UK has become a catastrophic invisible killer, it’s no wonder that 2018 is all about clean breathing with recent the Global Wellness Summit revealing that people are looking for ways to have cleaner environmental practices, by choosing ‘lung-cleansing’ travel destinations for instance. In line with this healthier behaviour, Brits buying second homes overseas to relocate or retire to are choosing healthier environments. The Iberian Peninsula is the ideal destination for that, with the 2017 World Happiness Report ranking Spain as one of the top 5 countries where people live the longest. Experts remind that clean air is fundamental as air pollution is often associated with reduced life expectancy. Despite being a country with significant motor traffic which is the main cause of the low air quality in and around Spanish cities, many studies show that Malaga city’s air is amongst the cleanest in Spain. A recent study conducted by Malaga Council revealed that residents can breathe good quality air in 95% of the city. Always committed to delivering what clients want, Spain’s leading housebuilder Taylor Wimpey España, which has operated successfully in Spain for 60 years (1958-2018), is building eco-friendly homes in Malaga province for those looking to live and breathe clean. Located on the Costa del Sol, in one of the most exclusive areas of Benahavis, Malaga the unique Botanic residence is latest Taylor Wimpey Espana’s green development. The luxury eco-friendly homes are constructed at different ground levels and the buildings, which hold a B energy certificate and use solar panels, are crowned by spacious penthouses with a modern design and spectacular solariums. Prices start from €365,000 + VAT. Botanic is a well-connected residence where serenity and tranquillity reign and golf activities are available within a radius of just 4 km. February marks the 1st anniversary of the opening of the rental development be:here Hayes delivered by BTR developer Be at the former EMI record label building – now named the Gatefold Building – in West London. Located In the heart of Hayes, be:here Hayes is a brand new development of high quality homes with private gardens and outstanding communal spaces which opened its doors to the first residents on 1st February 2017. It is part of the wider £250 million regeneration project of Old Vinyl Factory by U+I, which is expected to deliver 4,000 jobs, 642 homes, 750,000 sq ft of commercial and leisure space, all by 2020. Being always ahead of the curve, Be was the first BTR developer to open stunning 119 homes to tenants last year. A year later, the development has proved to be a huge success, having won two industry leading awards within a week. First, it has been awarded Silver in Best-Build-To-Rent Project category at the WhatHouse? Awards and then it was named Best build to rent development 2017 in the Inside Housing Development Awards. Since its opening, pioneering build to rent developer Be has announced last October that it is moving to a no fees model for its be:here Hayes development, reinforcing its success towards tenants who want the moving process to be as hassle free and cost effective as possible. Due to its proximity to Hayes and Harlington station, quality design and finish, on-site team, not to mention pet-friendly homes, the apartments at be:here Hayes hold broad appeal with young professional renters as well as families and the over 50s adults for an affordable London rental offering. Spacious apartments, furnished by Habitat, are available at be:here Hayes from £1,195 pcm for a one bed and from £1,425 for a two bed. Either a garden or a balcony is provided with every home. For the latest availability and any questions, please contact the be:here Hayes team directly on 020 3369 1646 or visit http://www.behere-hayes.co.uk/. 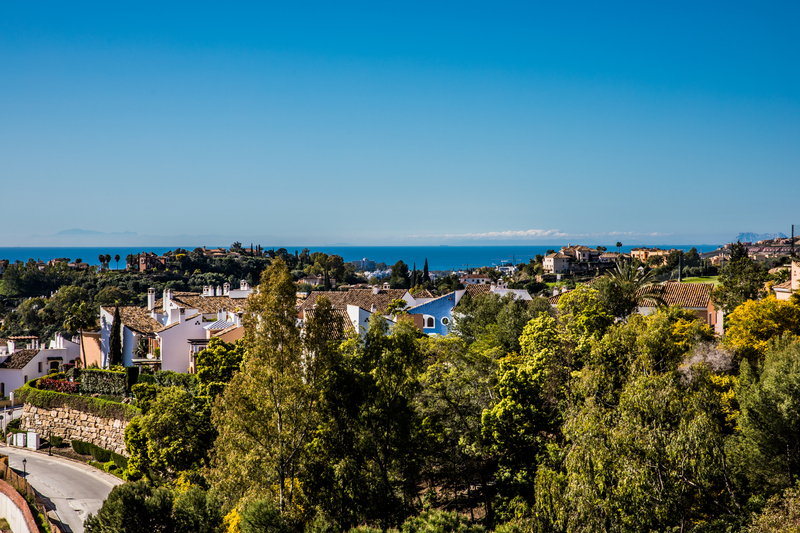 Interest in Spanish real estate from Scandinavian nations is rising steadily as life in sunny southern Spain draws buyers from colder climes. Swedish buyers, especially those looking for a second home in Spain, have increased in recent years now ranking amongst the top 5 nationalities of foreign purchasers according to leading Spanish homebuilder Taylor Wimpey España. Total sales to Swedish nationals in 2017 were up 6% and now account for 10% of all purchases made with Taylor Wimpey España. This data comes in line with recent report from Knight Frank which states that Spain is forecast to trump the UK as a favoured investment location in 2018, with the company’s Marbella office seeing Scandinavian buyers accounting for 80% of all sales of luxury developments in 2017. Easy direct access to many parts of Spain has particularly fuelled foreign property investment in recent decades. And as Swedes are one of the world’s best travelled nations, Scandinavian low-cost agency Primera Holidays is establishing an arm in the UK to offer new trips to popular destinations in Spain, making the region a hotspot for even more buyers in 2018. Marc Pritchard, Sales and Marketing Director of Taylor Wimpey España, which has operated successfully in Spain for 60 years (1958-2018), and his team now translate all property brochures and contracts into Swedish as a matter of course and for the last four years have a Swedish version of Taylor Wimpey España website to meet demand. “Spain’s economy is the fastest growing in the Eurozone, bringing greater confidence back the property market and thus attracting demand from North European countries. Over the last few years, we have seen a real boost from Swedish buyers especially. Designed in a Mediterranean architectural style with typical colour render, the apartments at Bahia Sant Pere are surrounded by ample communal gardens with two swimming pools and uninterrupted views over the sea or towards the highest peaks of the Serres de Llevant. The development is quite unique on Mallorca, boasting a superb location in the unspoiled north east with selling prices very affordable from 221,500€ + VAT for a brand new, two bed apartments. The phrase 3 is now for sale.